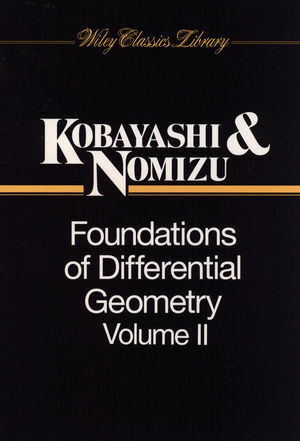 This classic text, written by two notable mathematicians, constitutes a comprehensive survey of the general theory of linear operations, together with applications to the diverse fields of more classical analysis. 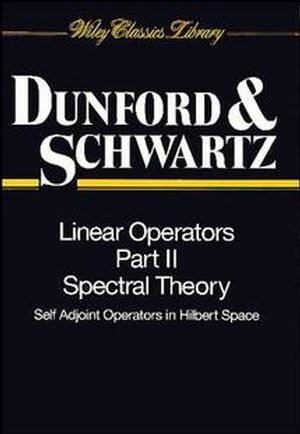 Dunford and Schwartz emphasize the significance of the relationships between the abstract theory and its applications. This text has been written for the student as well as for the mathematician—treatment is relatively self-contained. This is a paperback edition of the original work, unabridged, in three volumes. Nelson James Dunford was an American mathematician, known for his work in functional analysis, namely integration of vector valued functions, ergodic theory, and linear operators. 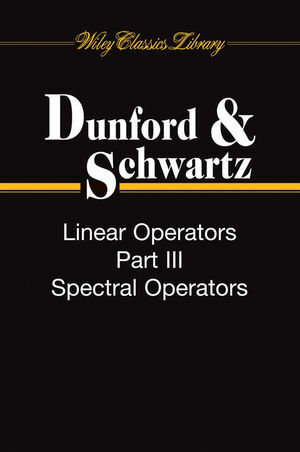 The Dunford decomposition, Dunford-Pettis property, and Dunford-Schwartz theorem bear his name. Jacob Theodore "Jack" Schwartz was an American mathematician, computer scientist, and professor of computer science at the New York University Courant Institute of Mathematical Sciences. He was the designer of the SETL programming language and started the NYU Ultracomputer project.